"... due to a drop from the field today, you have moved up from the wait list to the entrants list for The Ring ...", says a terrifying message from Race Director Q that arrives yesterday. "The Ring" is the 71 mile Massanutten Trail; I've tried it three times but never made more than ~40 miles of it before DNF'ing. Hmmm, two weeks to go - perhaps time to start training? 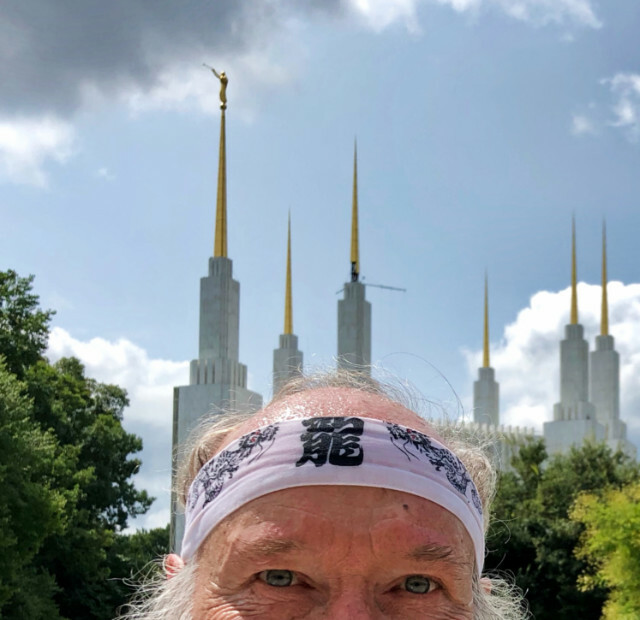 More important than speed or strength is patience - so on a warm Sunday morning, try 17 repeats of the nearby Mormon Temple Hill. 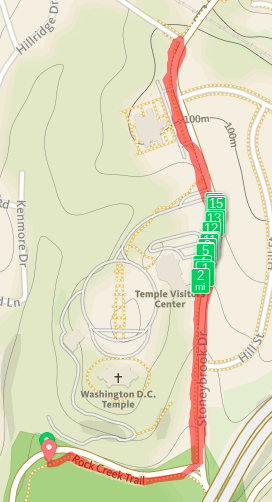 It's about a 6% grade and nearly a mile round-trip, so GPS trackfile markers stack up in a heap. For pace control run uphill on the prime numbers (2, 3, 5, 7, 11, 13, 17, ...) and walk the climb on the composites. Trot back down, chug Gatorade, and do it again. Greet cyclists and churchgoers. Admire the flowers. Watch a crimson cardinal flit away. Be thankful for good health and good friends.